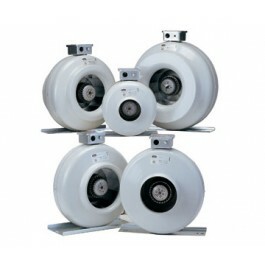 Can-Fan brings its innovation to market and sets a new standard for performance. The outstanding performance of our fans set it apart from the competition. 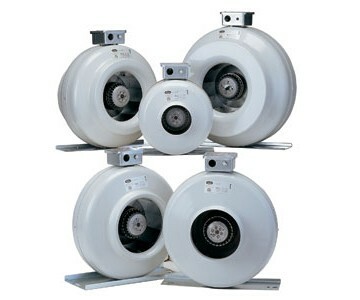 The RS family of inline exhaust fans provide the power and flexibility needed for residential and commercial applications. The RS inline is available in sizes 4" through 12" in both standard and high output. The RS series all utilize the extremely reliable external rotor motor and reverse curve blade. Comes pre-wired with an 8 ft. - 120 volt power cord. 5 year warranty.